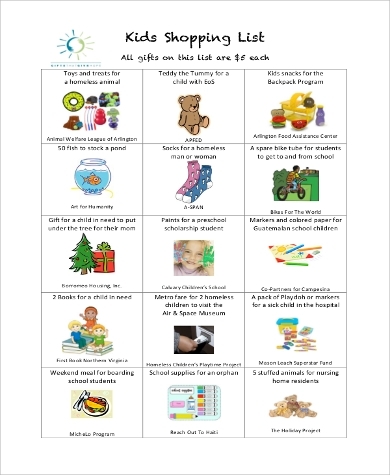 A trip to the shops does seem like an easy and stress-free task. The instant you get there though, you are greeted with piles and rows of products and offers that you end up going off-budget by purchasing more than you had intended, or worse, completely forgetting what you were really supposed to be buying. 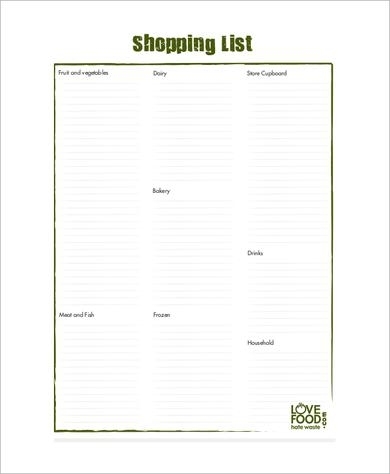 Here are two reasons why you should make shopping lists. Listing all that you need to purchase will ensure that you never forget a necessary item. With so many products in sight, it is so easy to lose track of the purchases that you had in mind. The tendency is to either fall short on your needs or to go overboard by adding more items than necessary. It also helps to list your purchases by section, in the same way that store items are categorized and arranged. 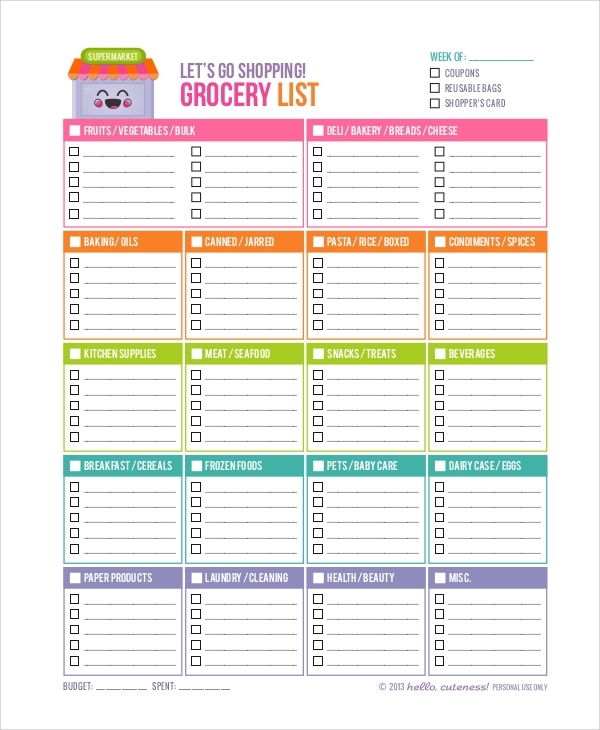 The shopping list templates herein show this: for example a shopping list to the grocery store with headings like “dairy” or “fruits.” The reason for this is that idly navigating the stores might make you forget. 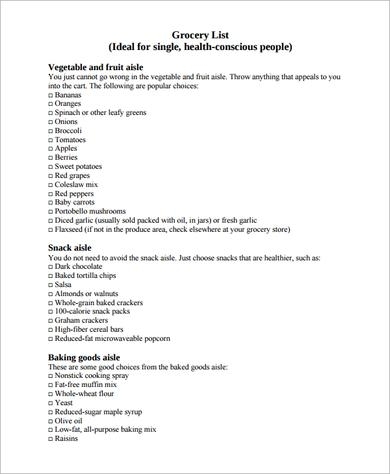 If you, for instance, follow a diet, or if you are on a tight budget, then you should definitely make shopping lists. 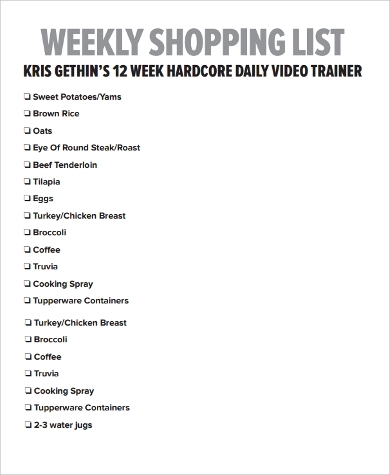 Shopping lists will ensure that you follow through with your plans. 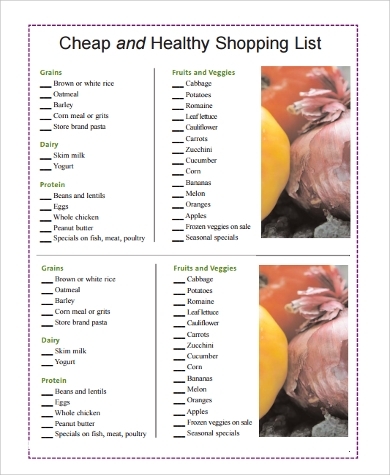 There are Sample Shopping List templates herein that show lists for people with diets or budgets. Having a shopping list ready will also immediately direct you to the store sections that hold your purchases, saving you time. 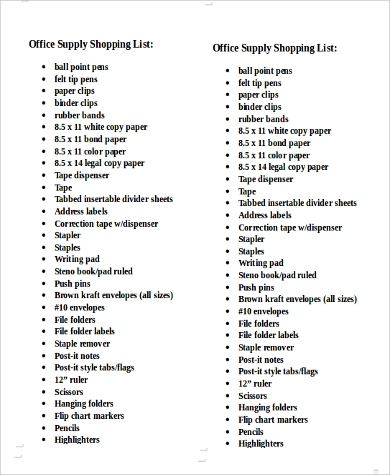 The idea of having to sit down and to make a list beforehand rather than just directly heading out to the store does seem tedious or even unnecessary. However, tendencies such as overspending or having to make an inconvenient return trip to go all the way back because you missed something will prove that spending prior time to make a shopping list benefits you more. 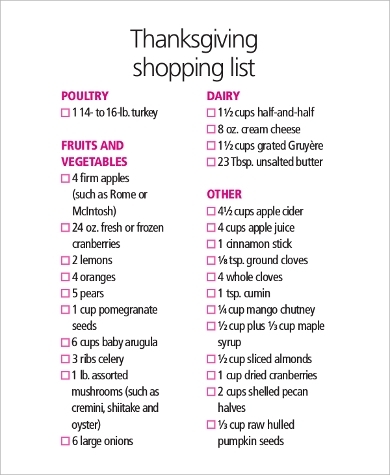 Use lists like these Shopping List Samples or Grocery List Samples the next time you have to run errands or purchases to the shops. 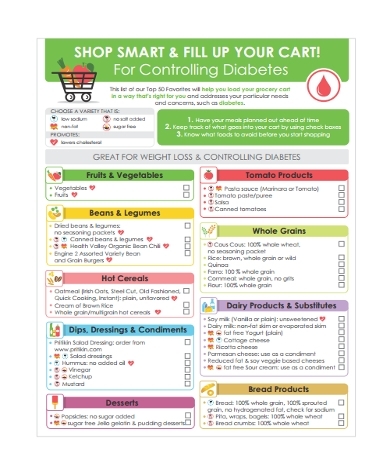 Be guided by the templates above, and make a habit out of organizing your shopping lists to save on time and to stay within your budget.